G.R. No. L-12170 April 18, 1960 - PEOPLE’S SURETY & INSURANCE CO. v. PAZ PUEY VDA. DE LIMCACO, ET AL. G.R. No. L-14133 April 18, 1960 - INS. CO. OF NORTH AMERICA v. PHIL. PORTS TERMINAL, INC.
G.R. No. L-14159 April 18, 1960 - DANILO CHANNIE TAN v. REPUBLIC OF THE PHIL. G.R. No. L-13282 April 22, 1960 - LA CONSOLACION COLLEGE, ET AL. v. COURT OF INDUSTRIAL RELATIONS, ET AL. G.R. No. L-12973 April 25, 1960 - BARENG v. HONORABLE COURT OF APPEALS., ET AL. G.R. No. L-13317 April 25, 1960 - R. S. PAÑGILINAN & CO. v. HON. JUDGE L. PASICOLAN, ETC., ET AL. G.R. No. L-14224 April 25, 1960 - REHABILITATION FINANCE CORPORATION v. LUCIO JAVILLONAR, ET AL. G.R. No. L-14889 April 25, 1960 - NORBERTO LOPEZ, ET AL. v. AMADO SANTIAGO, ETC., ET AL. G.R. No. L-14901 April 25, 1960 - VERONICA DE LA CRUZ, ET AL., v. MANUEL SAGALES, ET AL. G.R. No. 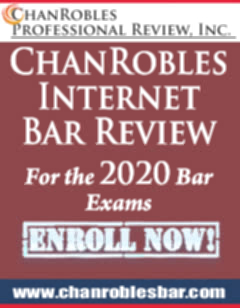 L-12058 April 27, 1960 - JOSE BERNABE & CO., INC. v. DELGADO BROTHERS, INC.
G.R. No. L-13224 April 27, 1960 - PEDRO TAN CONA v. REPUBLIC OF THE PHIL. G.R. No. L-13496 April 27, 1960 - Dy Shui Sheng v. REPUBLIC OF THE PHIL. G.R. No. L-13708 April 27, 1960 - SECURITY BANK & TRUST CO., INC. v. GLOBE ASSURANCE CO., INC.
G.R. No. L-14246 April 27, 1960 - TAN SENG PAO v. COMMISSIONER OF IMMIGRATION, ET AL. G.R. No. L-14576 April 27, 1960 - JOSE GONZALES, ET AL. v. BENIGNO ALDANA, ET AL. G.R. No. L-14967 April 27, 1960 - ORLANDO DE LEON v. HON. JESUS S. RODRIGUEZ, ETC., ET AL. G.R. No. L-15435 April 27, 1960 - VICTORIANO L. REYES, ET AL. v. JUDGE GUSTAVO VICTORIANO, ET AL. G.R. No. L-13118 April 28, 1960 - MACONDRAY & COMPANY, INC. v. DELGADO BROS. INC.
G.R. No. L-13313 April 28, 1960 - AGRICULTURAL CREDIT COOPERATIVE ASSN. OF HINIGARAN v. ESTANISLAO YULO YUSAY, ET AL. G.R. No. L-13501 April 28, 1960 - JOSE V. VILLASIN v. SEVEN-UP BOTTLING CO. OF THE PHILS. G.R. No. L-13911 April 28, 1960 - CESAR ROBLES, ET AL. v. DONATO TIMARIO, ET AL. G.R. No. L-14248 April 28, 1960 - NEW MANILA LUMBER COMPANY, INC. v. REPUBLIC OF THE PHIL. G.R. No. L-14434 April 28, 1960 - EUSEBIO ESPINELI, ET AL. v. AMADO S. SANTIAGO, ET AL. G.R. No. L-15416 April 28, 1960 - UNIVERSITY OF THE PHILIPPINES, ET AL. v. COURT OF INDUSTRIAL RELATIONS, ET AL. G.R. No. L-7133 April 29, 1960 - PEOPLE OF THE PHIL. v. MARTIN LAROSA, ET AL. G.R. No. L-9532 April 29, 1960 - PEOPLE OF THE PHIL. v. NORBERTO CATAO, ET AL. G.R. No. L-10675 April 29, 1960 - COMPAÑIA MARITIMA v. ERNESTA CABAGNOT VDA. DE HIO, ET AL. G.R. No. L-11754 April 29, 1960 - SATURNINO D. VILLORIA v. SECRETARY OF AGRICULTURE AND NATURAL RESOURCES, ET AL. G.R. No. L-11773 April 29, 1960 - JUAN T. CHUIDIAN v. VICENTE SINGSON ENCARNACION, ET AL. G.R. No. L-12165 April 29, 1960 - MANILA SURETY & FIDELITY CO., INC. v. ANTONIO VILLARAMA, ET AL. G.R. No. L-2180 April 29, 1960 - SOLOMON A. MAGANA v. MANUEL AGREGADO, ET AL. G.R. No. L-12270 April 29, 1960 - PEOPLE OF THE PHIL. v. BIENVENIDO CANO, ET AL. G.R. No. 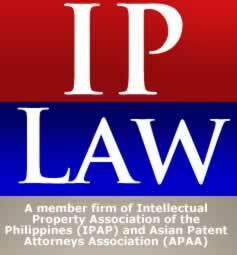 L-12256 April 29, 1960 - MANILA UNDERWRITERS INSURANCE CO., INC. v. BIENVENIDO A. TAN, ETC. ET AL. G.R. No. L-12503 April 29, 1960 - CONFEDERATED SONS OF LABOR v. ANAKAN LUMBER COMPANY, ET AL. G.R. No. L-12538 April 29, 1960 - GAUDENCIO LACSON v. AUDITOR GENERAL, ET AL. G.R. No. L-12872 April 29, 1960 - DELGADO BROS., INC. v. LI YAO & COMPANY, ET AL. G.R. No. L-13030 April 29, 1960 - PEOPLE OF THE PHIL. v. FRANCISCO MITRA, ET AL. G.R. Nos. 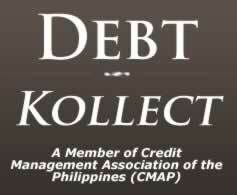 L-13099 & L-13462 April 29, 1960 - COLLECTOR OF INTERNAL REVENUE v. BOHOL LAND TRANSPORTATION CO.
G.R. No. L-13334 April 29, 1960 - PEOPLE OF THE PHIL. v. PEDRO M. DURAN, JR.
G.R. No. L-13459 April 29, 1960 - DEOMEDES S. ROJAS v. ROSA PAPA, ET AL. G.R. No. L-13500 April 29, 1960 - SUN BROTHERS & COMPANY v. MANILA PORT SERVICE, ET AL. G.R. No. L-13569 April 29, 1960 - PEOPLE OF THE PHIL. v. MAMERTO RESPECIA, ET AL. G.R. No. L-13667 April 29, 1960 - PRIMITIVO ANSAY, ETC., ET AL. v. BOARD OF DIRECTORS OF THE NATIONAL DEVELOPMENT CO., ET AL. G.R. No. L-13753 April 29, 1960 - DOMINGO CUI, ET AL. v. LUCIO ORTIZ, ETC. G.R. No. L-13778 April 29, 1960 - PHILIPPINE EDUCATION CO., INC. v. UNION OF PHILIPPINE EDUCATION EMPLOYEES, ET AL. G.R. No. L-13888 April 29, 1960 - NATIONAL SHIPYARD AND STEEL CORPORATION v. COURT OF INDUSTRIAL RELATIONS, ET AL. G.R. No. L-14092 April 29, 1960 - SOLEDAD A. VERZOSA v. AUGUSTO BAYTAN, ET AL. G.R. No. L-14298 April 29, 1960 - REPUBLIC OF THE PHIL. v. BRICCIO INCIONG, ET AL. G.R. No. L-14334 April 29, 1960 - CARLOS GOZON v. ISRAEL M. MALAPITAN, ET AL. G.R. No. L-15609 April 29, 1960 - RAFAEL MARCELO v. EULOGIO MENCIAS ETC., ET AL. G.R. No. L-15689 April 29, 1960 - MARIA GERVACIO BLAS, ET AL. v. CECILIA MUÑOZ-PALMA, ET AL. G.R. No. L-15838 April 29, 1960 - CAYETANO DANGUE v. FRANKLIN BAKER COMPANY OF THE PHILIPPINES, ET AL. G.R. No. L-15966 April 29, 1960 - MAXIMA ACIERTO, ET AL. v. VICTORINA G. DE LAPERAL, ET AL. G.R. No. L-12090 April 30, 1960 - PEOPLE OF THE PHIL. v. FEDERICO BAUTISTA, ET AL. G.R. No. L-13429 April 30, 1960 - LUIS SANCHO v. REPUBLIC OF THE PHIL. G.R. No. L-14580 April 39, 1960 - BEOFNATO ATAY, ET AL. v. DIEGO H. TY DELING, ET AL. G.R. Nos. L-14881 & L-15001-7 April 30, 1960 - JOSE B. YUSAY v. HILARIO ALOJADO, ET. AL. G.R. No. L-14925 April 30, 1960 - MARTA VDA. DE DE LA CRUZ v. GENARO TAN TORRES, ET AL.